Except for when they are caught with illegal drugs and happen to work for Barbra Streisand, that is. Then their name and mug shot is plastered all over the internet. 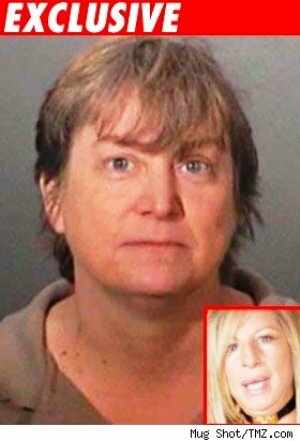 Barbra Streisand’s 54-year-old assistant Tina Fortenberry was arrested in Malibu last Wednesday after police allegedly found methamphetamines and cocaine, as well as a dangerous weapon in her car. She was also driving on a suspended license. Fortenberry was pulled over on the Pacific Coast Highway when cops noticed the car she was driving had expired tags. The weapon allegedly found in the car, by the way, was a sap – akin to nunchakus. At the time of her arrest Tina Fortenberry was en route to the post office with Barbra Streisand’s mail. Someone who works for the singer had to go to the Sheriff’s department to get it. A sap is a flat, beavertail-shaped slapper that is weighted with lead on the widest end. Small and inconspicuous, it can pack a punch with even the smallest amount of force behind it. 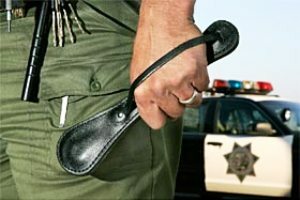 Saps, sometimes called slappers or slapjacks, are a throwback to the old-school police image portrayed in the pulp crime novels and gumshoe movies of the 1940s and ’50s. Also popular on-screen and in real life were blackjacks, which are similar to a sap but more clublike, with a rounded end. But, by as early as the 1970s, the sap and blackjack began to lose its place in law enforcement as police agencies tried to soften their tough-guy image. next post: Kate Moss’ Boyfriend Jamie Hince Is Missing. 50 queries in 0.923 seconds.